I'm having particular trouble explaining the anti-skate requirement. Do turntables without anti-skate, such as the Audio-Technica LP2D-USB, truly have no compensation and ride the inner groove like a surfer catching a wave? Someone at the Vinyl Engine suggested that the weight of the "high mass" tonearms found on such TT's essentially force the stylus into the middle of the groove. Thoughts on this? I need some compelling reasons to choose a deck with anti-skate, especially for people who don't plan on replacing the cart. There's already a good reason to choose a TT without anti-skate: Newbies don't need to learn how to balance their tonearm. You might want to clarify that some? Not true, I believe. Certainly, the skating force is a force, so that the force acting upon a heavier object will cause less motion as the object becomes heavier. But given that the motion of the tonearm is already constrained by the groove, I don't see how that really affects anything. Moreover, the skating force is proportional to the frictional force between the stylus and groove - which is proportional to the tracking force. And cheaper tonearms tend to have heavier-tracking cartridges. One could, in fact, make the statement that cheaper cartridges are often in greater need of antiskate than more expensive cartridges for that reason. The most compelling reason I can offer is that it improves tracking ability by a substantial amount. Not getting antiskate right = much greater risk of skipped grooves. Moreover, when recording to the computer, having an antiskate that's adjustable on the fly (like the knobs on the PL120 and SL1200) means that if you do encounter groove skipping, you can slowly lower the antiskate until the skipping stops, then quickly raise it back up again to reduce the risk of skipping forward. I've had to do that several times with particularly irascible records. Once it's all recorded, you can patch up the skips quite cleanly, to the point where the digitized record tracks better than the real one ever did! 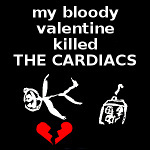 The traditional compelling reason for antiskate is that it improves cartridge lifetimes significantly. I guess this isn't as much of a concern when the stylus costs $30 to begin with (if that), but it's a big concern for more expensive stylii. Also, record wear obviously goes down, but if the record will only be played once, it's not clear how big of a deal it is. What I mean is I find it hard to believe that a manufacturer like AT would do nothing to compensate for skating force. Considering that there's no counterbalance and no anti-skate adjustment, aren't these units designed to be reasonably well balanced and "anti-skated" to begin with? Not getting antiskate right = much greater risk of skipped grooves. ...if you do encounter groove skipping, you can slowly lower the antiskate until the skipping stops, then quickly raise it back up again to reduce the risk of skipping forward. Two very good reasons. Thanks. Where does that requirement come from? There are plenty of decent belt drive turntables below $1000. There is no reason to believe that belt drive is inferior to direct drive at any particular price point. Indeed, IMHO a cheap direct drive it likely to be worse than a similarly priced belt drive. Direct drive turntables require high torque motors with excellent speed stability. Such motors are not cheap. Belt drive can get away with fairly inexpensive low torque motors, because the belt/platter provides a mechanical smoothing buffer against speed instability. 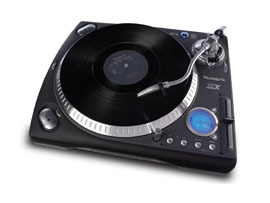 Just because a turntable like this has no user adjustable anti-skating doesn't necessarily mean it has none. Given that this is an "all-in-one" package, the tracking weight and antiskating could well be factory-preset. That said, the device looks cheap and plasticy to me. Audio Technica have a solid reputation for pickup cartridges, but they do not have a history of good turntable production. This product looks to me like they decided there was a bandwagon (cheap USB turntables) they needed to jump on. This argument just doesn't make sense to me. Both direct drive and belt drive are attempting to accelerate the same mass against the same drag forces. Why would a direct drive motor need more torque? If anything a belt drive system actually has more drag sources than a direct drive system. 2 - Regarding belt/platter providing a "buffer" system. Again, assuming equal platter mass in both systems the primary mechanical buffer is going to be the identical inertia of the platters. I clearly could be wrong, but I would like to know how I am wrong. I'm sure you know (because you talk about dynamically altering it to avoid skipping, and then setting it back where it should be), but just to state: that's not what it's there for! It's there to make the stylus track properly - which, due to the slightly faster movement of the outer wall than the inner wall of a given groove, it can't by default. This difference introduces a pre-disposition to sit slightly to the side of the centre of the groove, and this can be heard as additional distortion, especially on specially designed torture test signals. You adjust it to minimise this distortion when playing a test record. As has been said, a deck without this adjustment is either pre-set correctly (or otherwise), or so bad that this little detail is the least of its worries. There are plenty of decks with anti-skate adjustment that are so terrible as to not need it. It's just another tick on the marketing sheet. The OP implies there are "good" USB turntables - but are there? It might be a simple solution, but surely the "good" solution is a decent turntable, reasonable pre-amp, and reasonable sound card. P.S. it seems an American obsession with direct drive - I don't get it either. Good direct drive could be great, but belt drive is far easier to get right - a high mass platter and decent bearing is half way there. Enough over-engineering makes the motor itself almost irrelevant. These are two different approaches, and the question is: which one degrade most gracefully at the given price point? It depends, but generally, belt drive is preferred. I'm a bit confused. And I am an American - so maybe that's why. But, based on my research and observations, the entry-level priced belt drives from say, Rega, Pro-Ject and Music Hall(the most popular 3 recommendations I see given), are toys compared to the similarly priced direct drive Technics SL-1200MKII. The 'audiophile' units in this price range are nothing more than a single, non-reinforced slab of cheap painted MDF. The Technics is superior in just about every way - and it's a serious professional tool with speed stability that is going to exceed most decks at any price, and it has an inert build for all intents and purposes of it's job, with a 4+ lb cast platter with double rubber constrained dampening, and the chassis is substantial cast aluminum with substantial dampening. The arm is not the best on the SL-1200MKII, I do admit, as it measures higher resonance amplitude as compared to the standard Rega RB300 arm. But you can easily upgrade the arm to a RB300, for example, for a really high quality deck in every regard. (There are some excellent deals on RB300 re-badges on eBay right now) It would be worth it to even put a premium grade arm on the SL-1200MKII, such as some of those excellent performers in the $1k+ range. Just so you know, I don't have a SL-1200MKII, so I'm not some fan/obsessed owner. I have a deck that costs a lot more than the solutions here - but before I bought my deck I was looking at this lower price range and discovered that none of these entry level belt-drives is a good example of engineering and real performance, as compared to the SL-1200MKII. Plus the quality of the motor, and actual deck, give you an excellent table to make it worth upgrading the arm. The requirement for either system is to rotate the platter at a constant 33.3 rpm. 1. Use a heavy platter to give a good flywheel effect. The problem here is that the heavier the platter, the higher the motor torque needs to be to be able to correct any speed instabilities. 2. Use a light platter. This allows a lower torque (and cheaper) motor, but the downside is that you get less flywheel effect to start with, and so there will be more speed instabilities to be corrected. In a belt drive system, provided you don't care how long it takes for the platter to initially get up to speed, you can use a platter as heavy as you like, and therefore take advantage of as much flywheel effect as you wish. I'm not trying to argue against direct drive. It's possible to make a good turntable using either system. (But for a given level of performance, the engineering required usually costs more for direct drive). All I wanted to do was question why the OP seemed set against belt drive. So all I'm saying is, the situations could be more complicated. Obviously belt drives as a rule are cheaper to manufacture than direct drives. But direct drives also have negative feedback (typically) and belt drives don't (maybe at the $1000 range but certainly not here). Time to sell that MM and get a SL-1200mkII w/arm upgrade. Personally, I do use a belt drive, and it's speed is rock steady with no audible fluctuation, but it's one near the $2k mark, and I have measured it myself to verify the speed stability. Though, it's still not quite as good in speed stability as a Technics SL1200MKII. But I also have a superb tone arm. I was originally going to end up buying a SL1200MKII, but I must admit, the physical beauty(Marantz TT-15SI made and engineered by Clearaudio in Germany) combined with the superlative engineering on the one I purchased won me out and made me waste money. Where does that requirement come from? I realize the direct drive requirement is up for debate and I am characterizing it as such in my upcoming comparison guide. We're talking about USB turntables in particular. 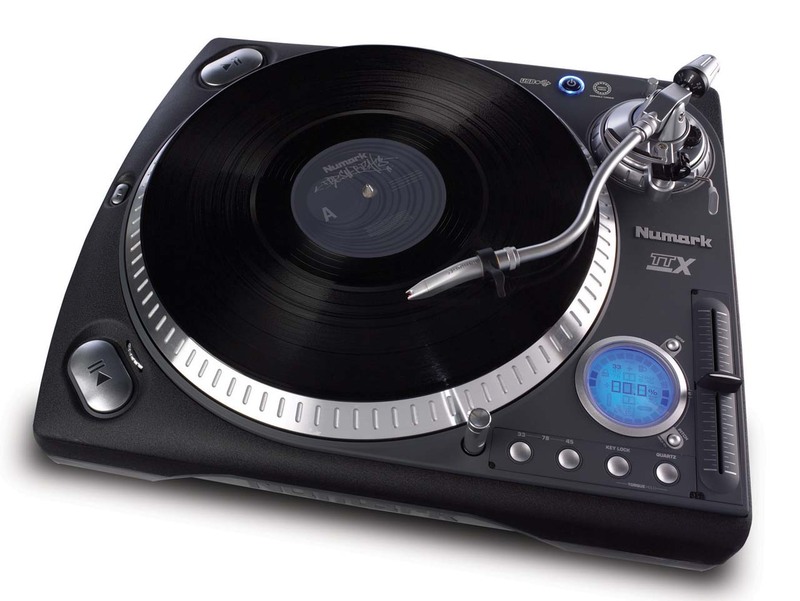 The best built turntables in this class are DJ turntables, which are almost exclusively direct drive. With the exception of the Pro-ject Debut, the wow and flutter specs on direct drive turntables are the best. Of couse, this says nothing about motor noise on badly implemented direct drive system. And none of the w&f specs even approach the legendary SL-1200. Direct drive USB TTs are the most expensive (again excluding the Debut) and generally don't come with a cart. The higher cost (hopefully) gives more room for better motors. There are two different approaches, and the question is: which one degrade most gracefully at the given price point? It depends, but generally, belt drive is preferred. I think this is the nub of the debate- are the specific USB TT direct drive motors implemented better than belt drives? I can't answer that but I can give you names- Stanton, Numark and Kam make the DD USB TT's. If you exclude the crap- USB TTs with ceramic carts and/or no anti-skate adjustment- you are left with few decks. 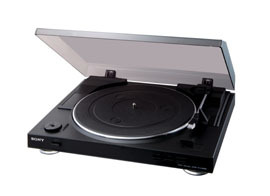 The belt drive turntables that remain (excepting Pro-ject) are either cheaper or have novelty features like recording directly to CD, iPod or Flash. Based on the specs, the price and the fact that DJ's probably demand better fidelity than consumer vinyl archivists, we arrive at the debatable direct drive requirement. But a poorly implemented DD system on any of these models could throw a monkeywrench in all of this. I didn't say "good," I said "decent." Decent < good in my mind! I am devoting considerable space to an "Are you sure you want to go this route?" section featuring a large, eyecatching SL-1200 photo. 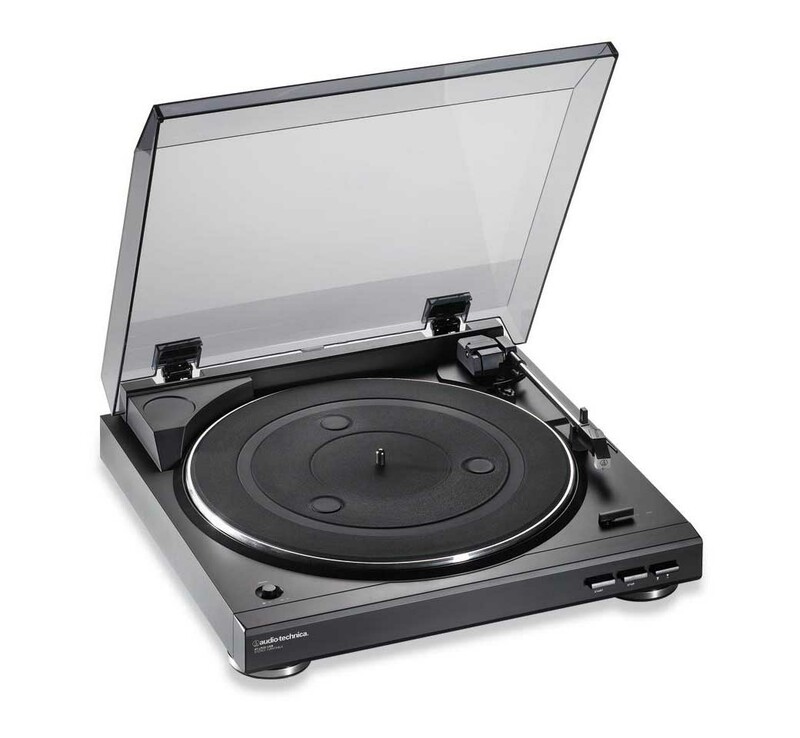 My readers will know that there is a much better turntable in this price range and offer tips on getting a non-USB TT connected to their computers. I'm loving the conversation and challenging my statements and assumptions. I appreciate your help in getting my story straight before I publish. Well, I actually haven't done any arm work yet - many people are coming out in favor of the stock arm over the Rega mods, in fact, and I have done some ABX testing with recordings with the KAB damper engaged/disengaged, and came to the conclusion that I couldn't tell a difference. So I'm running 100% stock. And I'm gifting the MMF5 to somebody who will likely not care about that sort of thing. If I had that kind of money, I'd probably do the same thing. I looked at that dampener. The only thing that dampener can effect is tracking. I do not see how it can have any appreciable effect on the primary arm resonance modes. To have effect on the primary modes, a dampening system has to be placed in a primary junction of the modal behavior. The silicone bath and paddle system is neither the correct mechanical impedance to match with the arm resonances, nor is it even intended to do so. It's just a tracking dampener. The RB300 arm measures far better than the SL-1200MKII type arm, btw. I have seen measurements showing around 20dB difference across some wide bandwidths. I think it's the other way round. Sitting comfortably in a quiet lounge listening to music - and especially archiving - demands a higher level of fidelity than belting out dance tunes in a noisy club. Surely what DJs want is a deck that will withstand regular manhandling and so I would guess a lot of money gets spent on making a DJ deck robust which a "consumer" deck just doesn't need, allowing the money to be spent where it matters to sound quality. Ah, good point. I had wondered at some point about why the damper was considered so good for improving treble response (and a lot of people do comment on that) if it was nowhere near a vibrational mode on the arm. So its main use is to reduce tonearm/suspension resonances, which of course is generally not a huuuge issue. I've seen the old Hi-Fi world measurements that clearly indicate the RB300 is superior in terms of vibration response, but the units for that were not specified. Are there any other measurements you know of? Besides that: I haven't seen any serious analysis relating the resonant properties of the tonearm to audible differences in the sound, beyond what is implicated by a simple frequency sweep. And my understanding of the sweeps is that it's quite plausible to not have audible issues nowadays with a modern, high-compliance cartridge in the midrange, especially when speakers are not used. Am I mistaken here? I am not sure, unfortunately. However. I am about to perform a serious ABX. I have procured a Technics SL-Q2. It is nearly the same quality as a SL-1200MKII and uses the same arm system except for minor cosmetics and lack of VTA adjustment on the base of the arm. I will be installing two Denon DL-110 cartridges; one on the Technics and one on my Marantz TT-15S1, which uses what is supposedly a superb modern arm: Clearaudio Satisfy Aluminum. I will use the Ultimate Analog Test LP and measure the frequency response of each system, and verify distortion and channel symmetry. I will use the frequency response measurements to apply a correction so that both systems have identical FR to account for cartridge differences between two different cartridge samples. I will record music tracks on the same LP with both systems, apply correction curve, level match and time synch. Then the samples can be ABXed. The resonances should cause distinct coloration if at an audible magnitude, causing easy difference identification between the two samples. Possibly. The motion of the cartridge/tonearm at low frequencies is not linear and so will modulate the signal at high frequencies. Reducing spurious low frequency motion will consequently reduce this distortion at high frequencies. Viscous damping of appropriate magnitude will reduce the motion at resonance and will dissipate energy both of which are likely to be beneficial. At frequencies away from resonance the effect of viscous damping is usually negligible although there is the potential for small undesirable effects depending on what is happening/trying to be achieved. ...the fact that DJ's probably demand better fidelity than consumer vinyl archivists, we arrive at the debatable direct drive requirement. If you and I we're designing turntables, that would be the case. Unfortunately, the USB turntable market doesn't bear that out. I think the main problem is, as Axon and WmAx suggested in our previous chat, consumer TT manufacturers are trying to meet a price point of $150 or less. And you just can't get a well-built deck at that price. Of course (and I'm starting to feel like a broken record repeating this), the Pro-ject Debut stands out as a decent, non-DJ turntable. However, it's not very consumer friendy. There's no push-button switching between 33 and 45- you have to adjust the belt. The anti-skate adjustment is a "thread and weight" type (don't know the technical term). Let's look at what's available to consumers. I won't waste everyone's time with TT's featuring ceramic carts. Arguably the best consumer USB TT but still has serious drawabacks. 1/2" Standard mount. However, numerous reviewers on Amazon report that replacing the cart with something decent, like the Shure M97xE, results in a background hum. It is reduced by placing aluminum foil under the mat in contact with the spindle! And guess what? 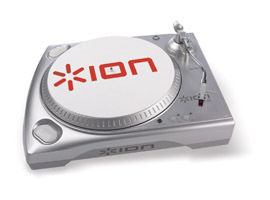 Ion Audio is a division of Numark- a DJ TT manufacturer. 0.15% Wow and flutter. Not great but compare to Pro-ject at 0.12%. So there you have it, a quick snapshot of the USB TT market as it is today, where DJ TT's tend to come out on top. 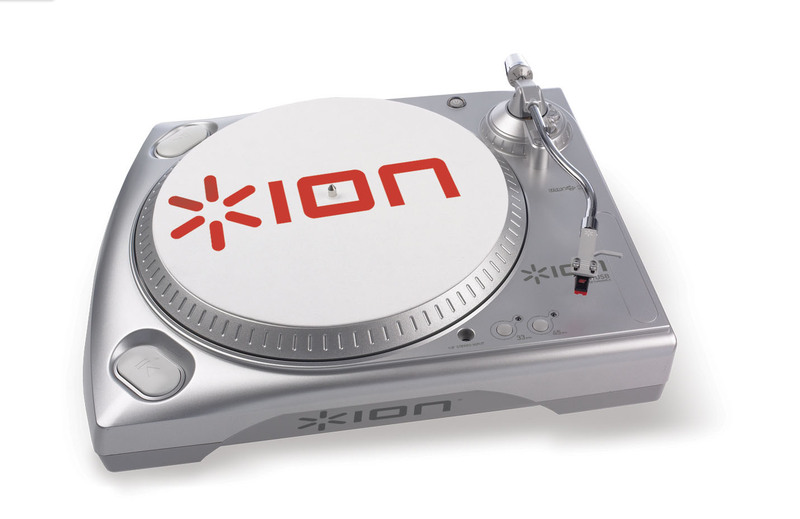 I'm curious what the HA community thinks of Denon's current line-up of turntables. I ask because their sales and marketing guy recently said they are working on a USB TT at "mainstream pricing." Let's hope it's based on the DP-300F and not on the DP-29F. I think anti-skate is very important. I made the mistake of buying a deck without it and it tended to jump (inwards) at the slightest provocation. In fact it was so bad that I have now thrown the deck away. I'm going to drop the direct drive requirement in favor of the DJ turntable recommendation. After some weekend contemplation, I realized that direct drive is obfuscating the fact that these are more expensive DJ turntables. So why not just tell it that way? Back where we started! I've also read on HA and elsewhere that badly adjusted anti-skate can affect L/R channel balance. Let's look at what's available to consumers. Please, no. Those horrible plasticky things you pictured will give me nightmares. People have been making decent turntables for 30 years. Go on eBay and find one. Pay less, get more. Save the money for a decent cartridge and reasonable pre-amp and sound card. The latter two can also come from eBay! Mind you, if you're publishing a widely read article, the problem is that whatever you says is great will shoot up in price on eBay. When everyone has forgotten your article, the price will plummet again! While we're on the subject, here are the analog TT's I'm considering making outrageously expensive on eBay. Less than 0.12% wow and flutter (which is the best in the USB turntable world- Pro-ject Debut). Are there other makes/models I should be considering?